Dr. Morgan-Mullane, LCSW-R serves as Vice President of Mental Health Services for Children of Promise, NYC (CPNYC). Dr Morgan-Mullane conducts an extensive training program for MSW interns, licensed social workers, psychiatrists, and art therapists onsite of CPNCY that allows everyone to gain critical culturally responsive therapeutic skills needed to support children impacted by parental incarceration. In 2012, Dr. Morgan-Mullane successfully established an Articl 31 mental health clinic at CPNYC that services approximately 350 children and adolescents annually. Dr. Morgan-Mullane has also developed clinical policies and practice guidelines and launched an evidence-based treatment model which includes the employment of Trauma-Focused Cognitive Behavioral Therapy, Narrative Therapy, complex trauma systems theory, and Mitigation Practices, which are all at the forefront of trauma-informed clinical practices for children of incarcerated parents. With over a decade of clinical practice, Dr. Morgan-Mullane’s work explores the intersection of clinical social work, social policy, and criminal justice. She is currently presenting her research across the country which focuses on the intergenerational effects of incarceration, the unique psychological factors experienced by children of incarcerated parents, and the causes and effects of mass incarceration. Dr. Morgan-Mullane is also aprofessor in the NYU Silver School of Social Work where she teaches a course she developed on the intersectionality of criminal justice reform and mental health implications for those impacted by mass incarceration. Dr. Morgan-Mullane recently presented her research at the NASW-NYC Third and Fourth Annual CE Conference and at the Global Prison Conference in South Africa at the University of Johannesburg. 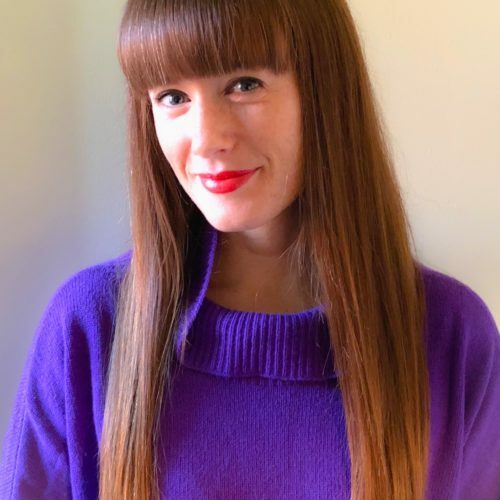 Dr. Morgan-Mullane was asked to develop a 6-hour CE Training and Workshop this past fall for the NASW on her recently published work in the Clinical Social Work Journal on her research of the efficacy of trauma-informed practice and children of incarcerated parents. This summer she will be presenting her program model at the National NASW conference in Washington, DC.